From past few days we have been receiving a lot of queries regarding best online test series for SSC CGL 2016. As we all know SSC CGL (Staff Selection Commission Combined Graduate Level) is one of the most sought after exam. Therefore, when it comes to online test series for the same, the aspirant needs nothing but the best. Recently we have seen many SSC CGL online test series/coaching websites sprouting, hence, it should come as no surprise that there is great confusion among CGL aspirants when it comes to choosing between the best online test series websites. With the exam going online this year, one of the most frequently asked questions is “Which online test series should I choose?”. To help our readers, we searched on some top forums, and asked some of the serious aspirants which online test series in the market is best and based on their initial responses, Oliveboard appeared a name that was common to several responses. We decided to further do our own research. We did a thorough analysis of the site along with a few other SSC aspirants and made comparison based on several parameters. We tried it for a few hours and took a few tests. 3) Immediate Percentile & Solutions: All India percentile (for every section) and explanatory solutions are available immediately after submitting each test. This helps you to determine your relative position among other CGL aspirants and there is no need to wait, the solutions with explanation is immediately available. 5) Price: 20 Tests of SSC CGL revised pattern costs Rs. 499 only which appears very good for the features and in comparison to other options which are more expensive. 6) All Oliveboard SSC CGL online tests can also be taken on their Android mobile app. We took a full test on mobile as well and found the experience even better than on desktop but its aspirants choice how the would like to take it. The only con of the website is that the test appear to be available only in English currently and not available in Hindi for those who want to take tests in Hindi. 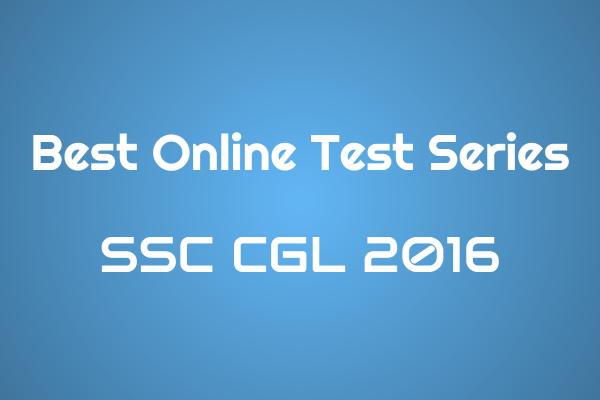 Aspirants can take the Free SSC CGL Online Test of Oliveboard Here. Sharing is Caring, please share this post to help others.